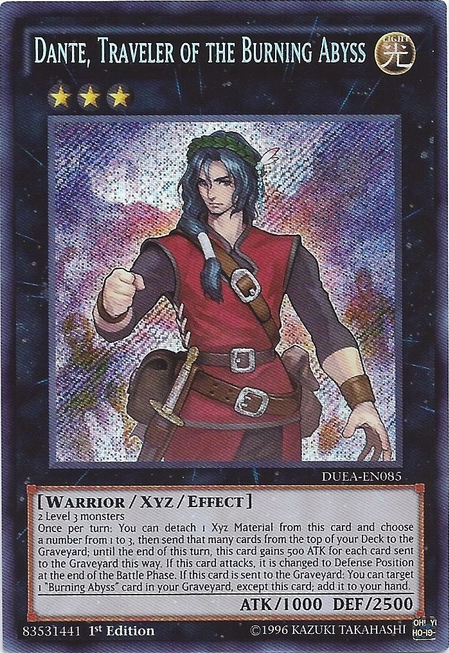 What if Dante, Traveler of the Burning Abyss is reprinted in the Yugioh 2015 Mega-Tin? 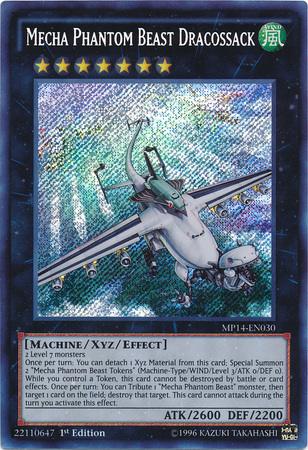 This card used to be a staple back during the dragon ruler format and even afterward Dracossack remained a high value yugioh card. 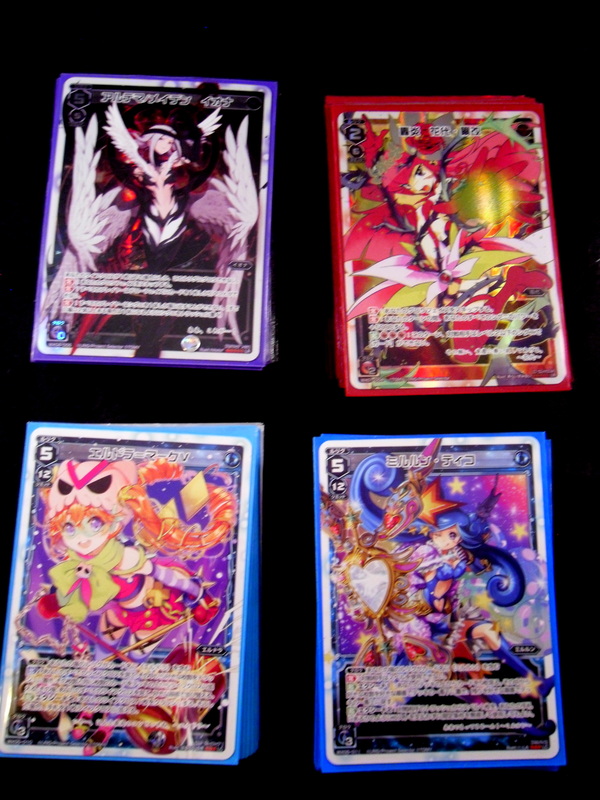 Then it got reprinted in the 2014 Mega Tin. Now it’s about $9 to $12 and is very easy to come by. Now I know this is some simplistic reasoning, BUT if I was in Konami’s position and I wanted to sell as many Mega Tins as possible I would reprint not only Dante, but the Shaddoll, Tellerknight and Yang Zing monsters also (essentially, all of Duelist Alliance). 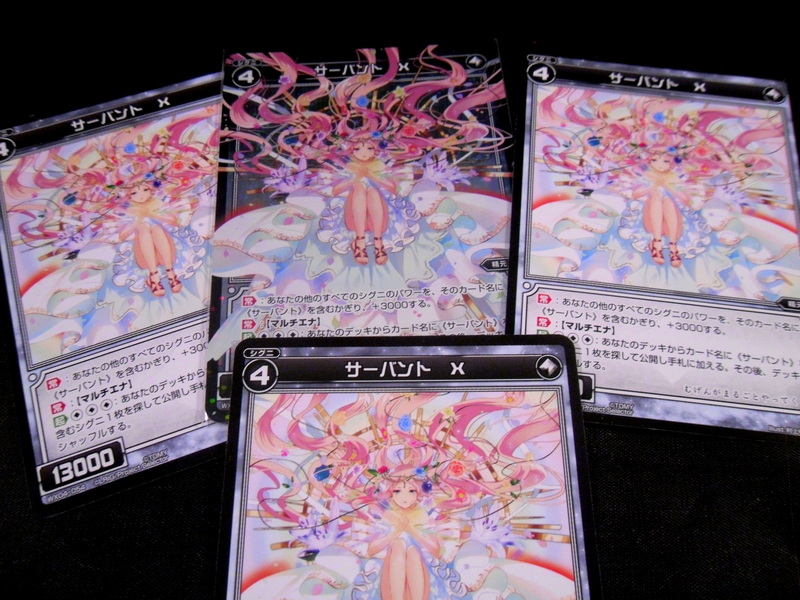 This would give everyone a reason to buy multiple Mega Tins to build these decks. Now I don’t think that will happen, but I do think Dante will get a reprint eventually. 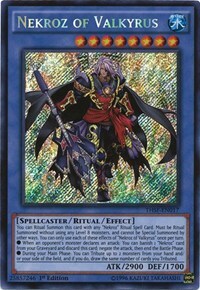 So I’m getting started on making a Burning Abyss deck for when he does. Now is the point where I would start discussing the decks I’m building, but I’ve got to go so that will have to wait until a later post. Thanks for reading and while I’m not 100% that this will happen, I really wouldn’t be surprised if it did. I was able to head to the Redcaps Redraft tonight (after my boss randomly let me leave earlier). I have not drafted in almost 3 weeks so I forgot everything except for Flatten is good. That and Temur Battle Rage steals games. Needless to say I was unprepared. I played Jund again. It’s becoming my crutch in draft so I’ll have to try something different next time. and Frontier Mastiodon, though I guess I lost it, because it wasn’t in my pool later… I don’t know. I scrubbed out again (I blame being out of practice). 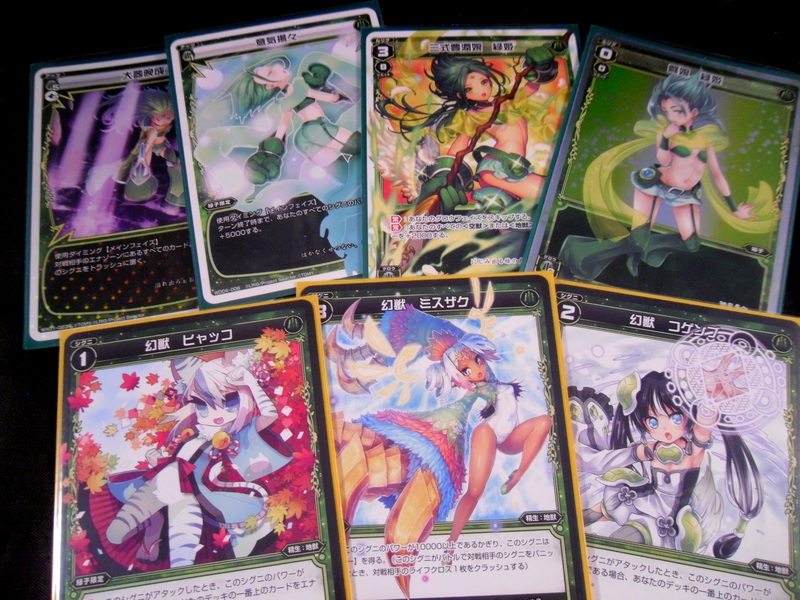 The deck was ok, but I made a lot of mistakes. Game 1 I got blown out by Ethereal Ambush. 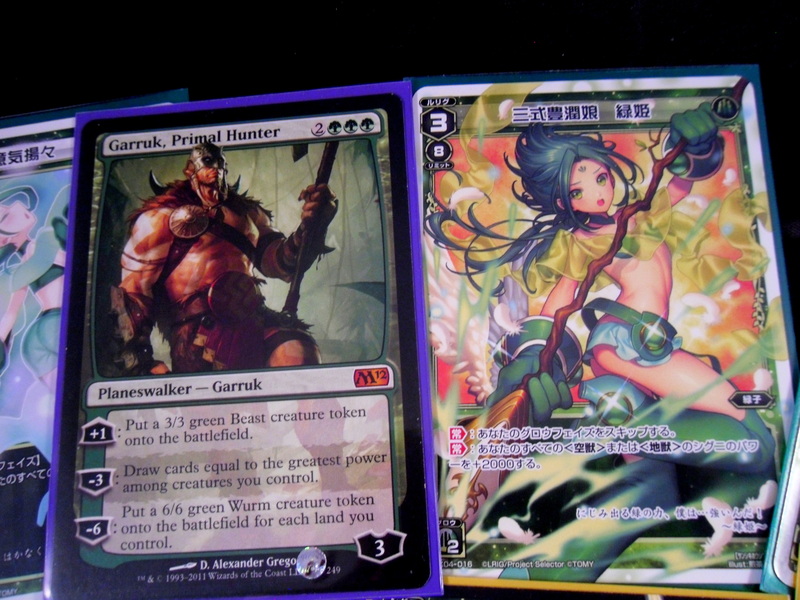 However, Games 2 and 3 he opened like no lands and I trampled him with Elk. 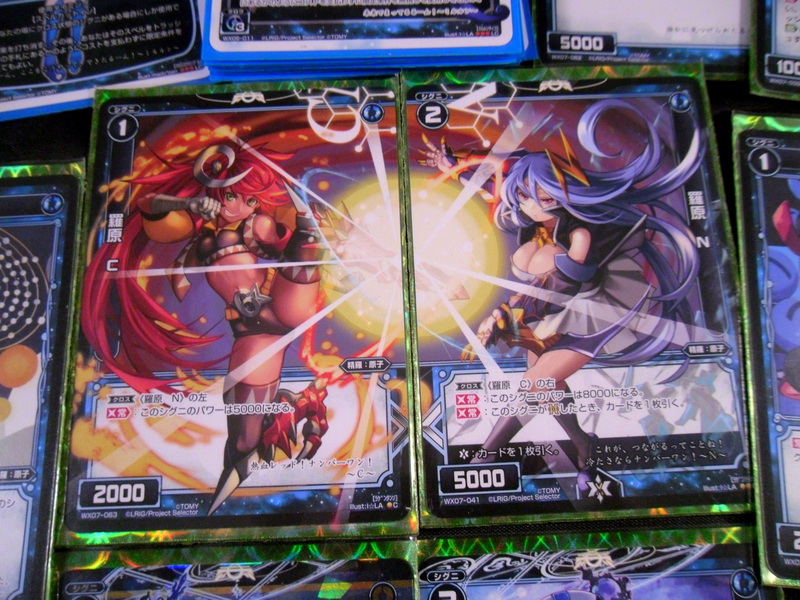 This game the card that caused me problems was War Flare which caused me to lose game 2. I then lost game 3. I am so upset over a glorious mistake game 1 where I mistook Sheltered Aerie for my 3rd land. I then lost very fast. However, I got the luckiest topdeck in game 2 where I pulled Temur Battle Rage to let the Elk Herd Trample over Sidisi, Undead Vizier for game when he had me dead on the next turn. Game 3 he beat me, but it was a good last 2 games. 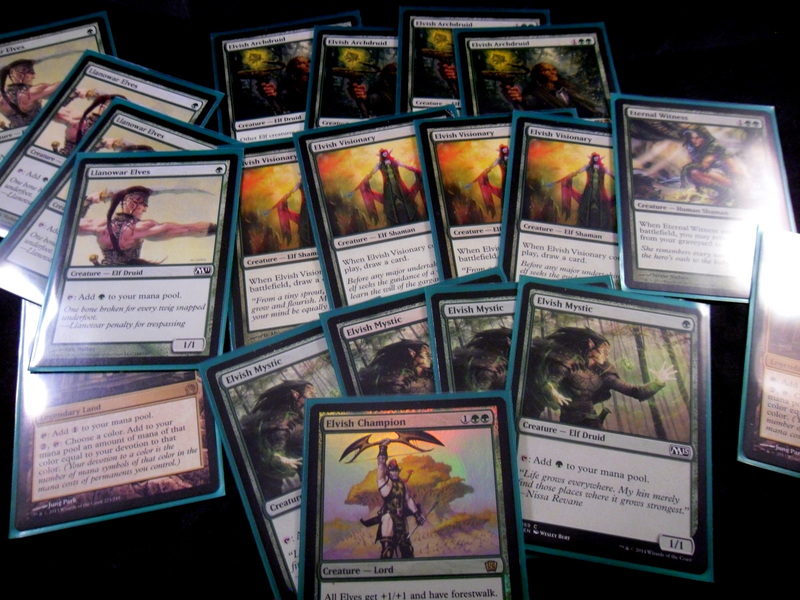 MVPs of the night was Tread Upon and Temur Battle Rage both of which won me a game or two. I’m still salty over my mistakes, but the rare pool wiped out my salt. 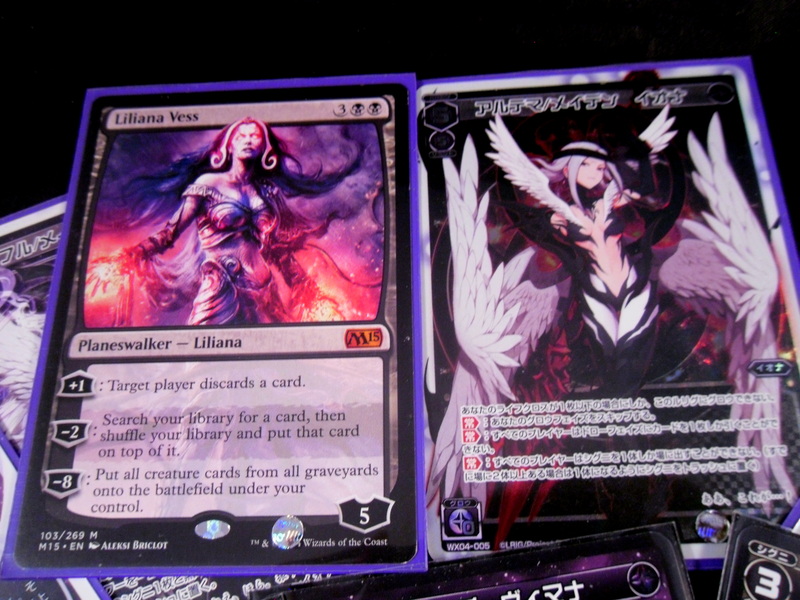 The best rare was Soulfire Grandmaster, then Dromoka Command and then… Nothing over $2. I took Sidisi, then Damnable Pact, Foe Razer Regent and the last guy left before taking the foil Servant of the Scale so I took it. It was fun, I prefer rare redraft, though my life goal is to go 2-1 again like the draft back in Theros block where I drafted 2 Revel of the Fallen God. I’m going to say a bunch of things really quickly that I hope resonates with someone somewhere. So the app Game Findr (which I backed on Kickstarter awhile back) just launched. 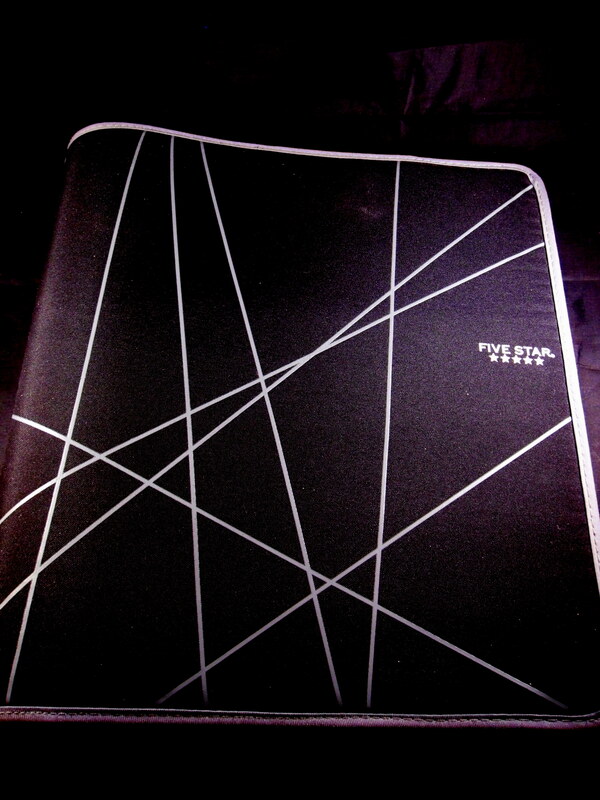 You can find a download link for it here. I’m still figuring out the app, but you can use it to contact other people who play the same games that you do in your area. I’m certain it will be a useful tool in finding people to play with wherever you live. 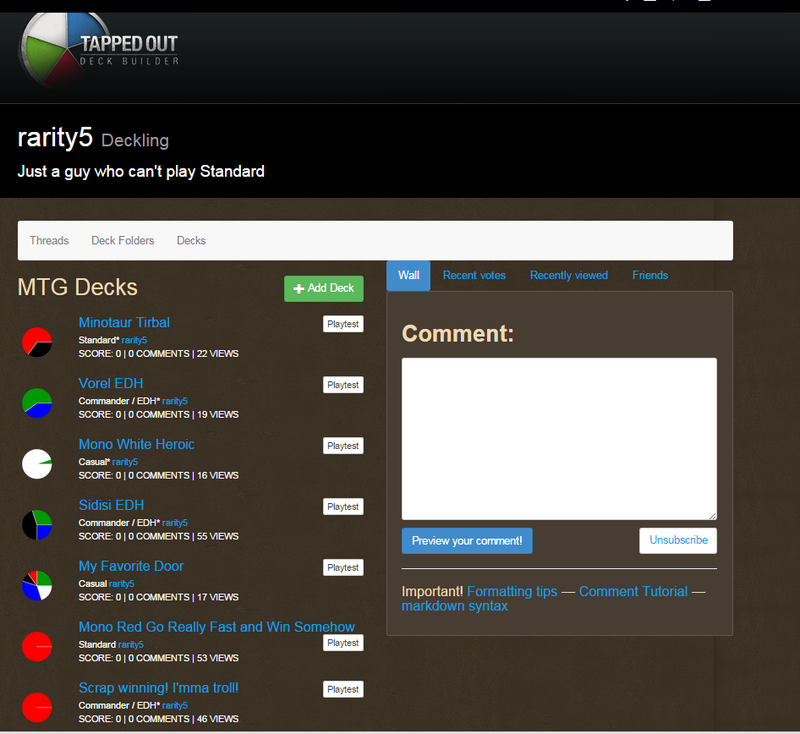 I also made an account on Pucatrade, which is a site where you can send magic cards to people to gain points. 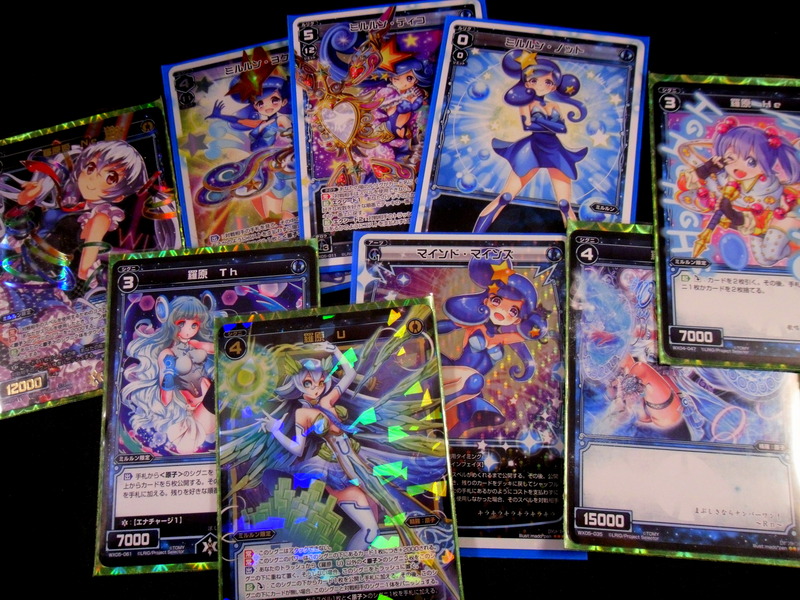 These points traded for more cards. 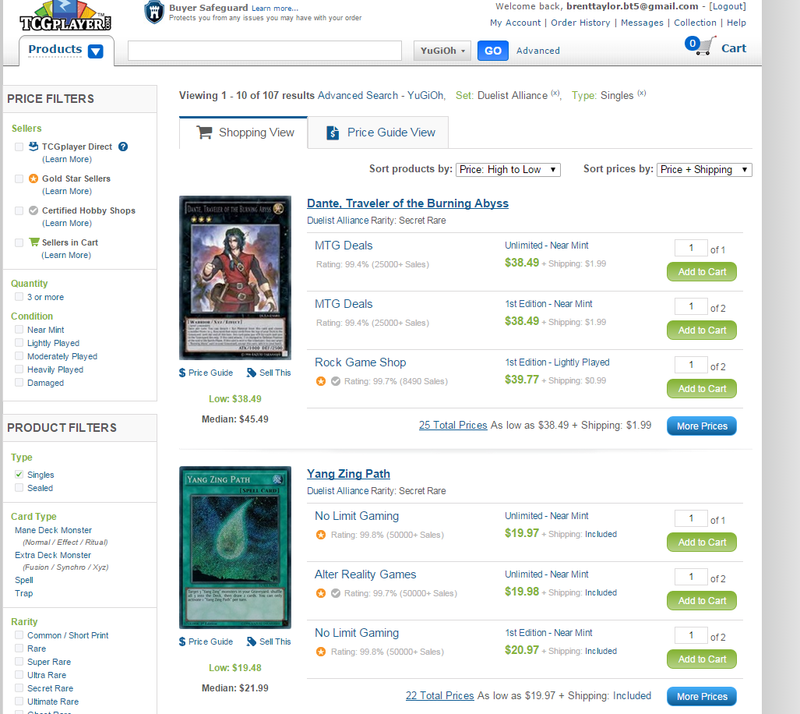 I have extreme issue with the site only allowing the exchange of NM/M (Near Mint/Mint), but I’ve been told that the site will update to allow for lightly played cards to be offered for trade in the future. I built a new Tiny Leaders deck with Varolz, the Scar-Striped. It’s still a work in progress since the meta version of the deck is really expensive, though as usual I’m making due with what I have lying around. 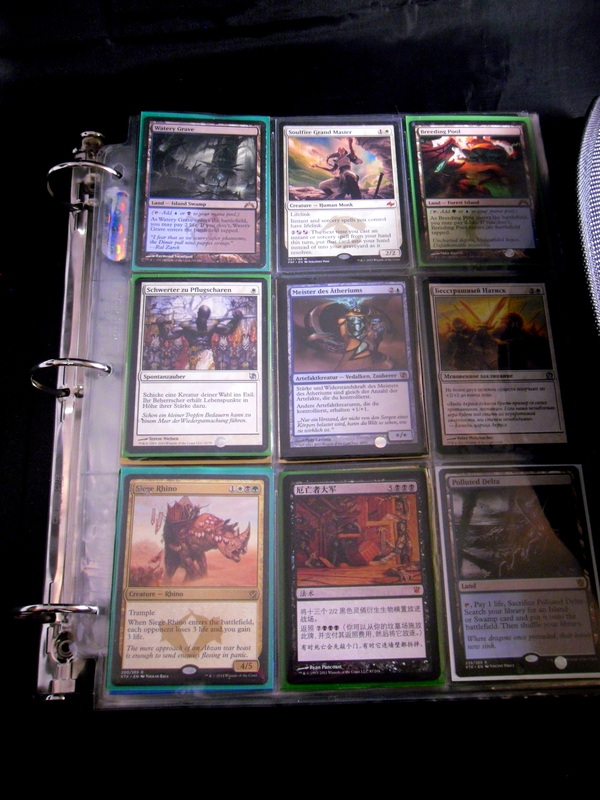 I’m also actively trying to downsize my MTG collection. 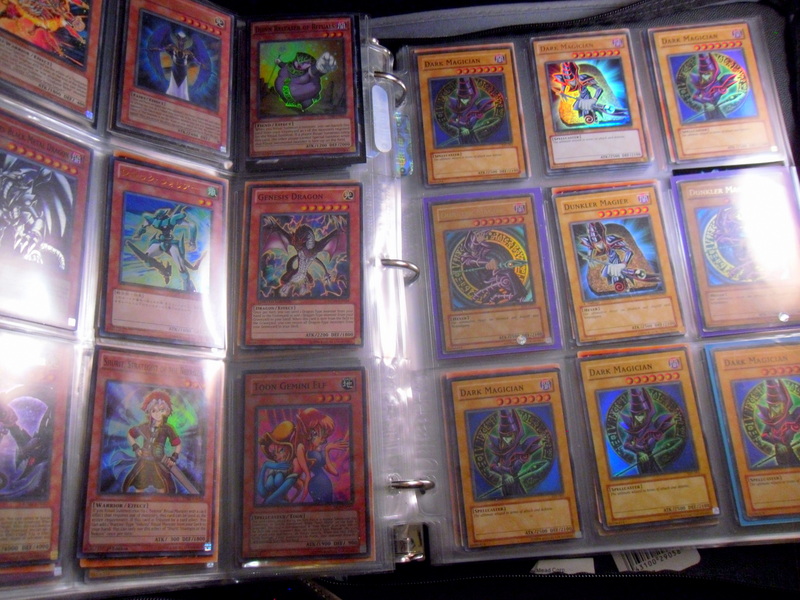 I have 2 Binders at present, 1 for Magic and 1 for everything else. 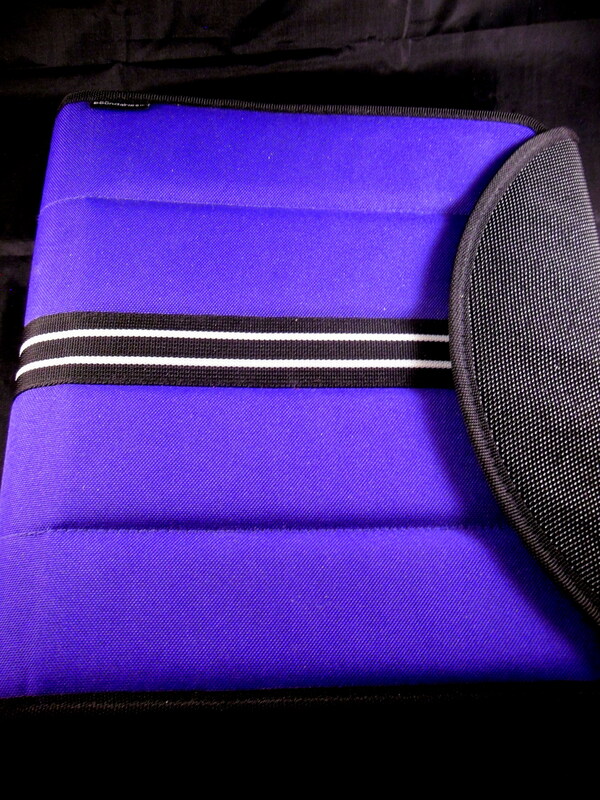 I’d rather fit all the cards that I’d would carry to events and such into 1 binder. Pretty much I want to fit all that’s in the 2nd row into the 1st row. For this reason I’ve revived my Ebay and Tcgtrader stores to try and push out as many bulk cards as possible. 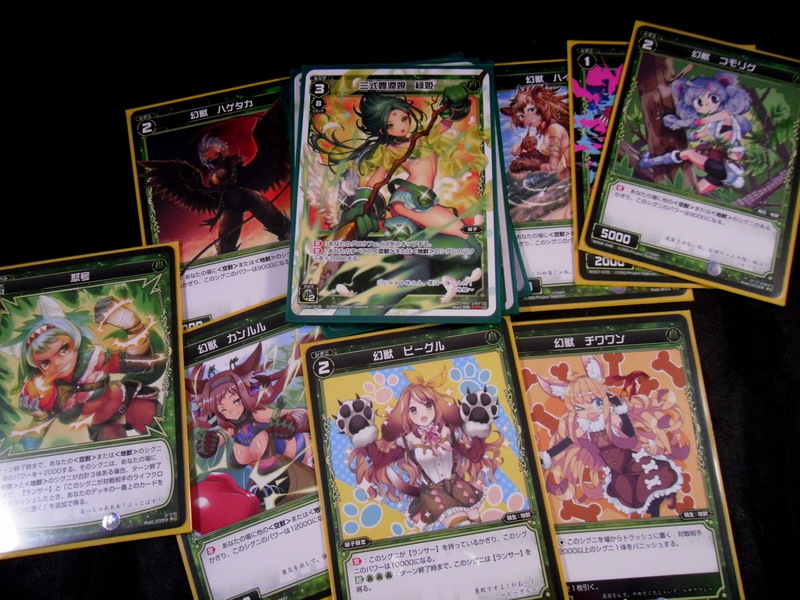 Nyan in his infinite kindness gave both me and my roommate a huge amount of new cards. Midoriko now actually has beasts. I need new sleeves for this deck to make the cards line up better. It still looks good to me though. Eldora now has an actual combo, in terms of making her creatures unblockable. 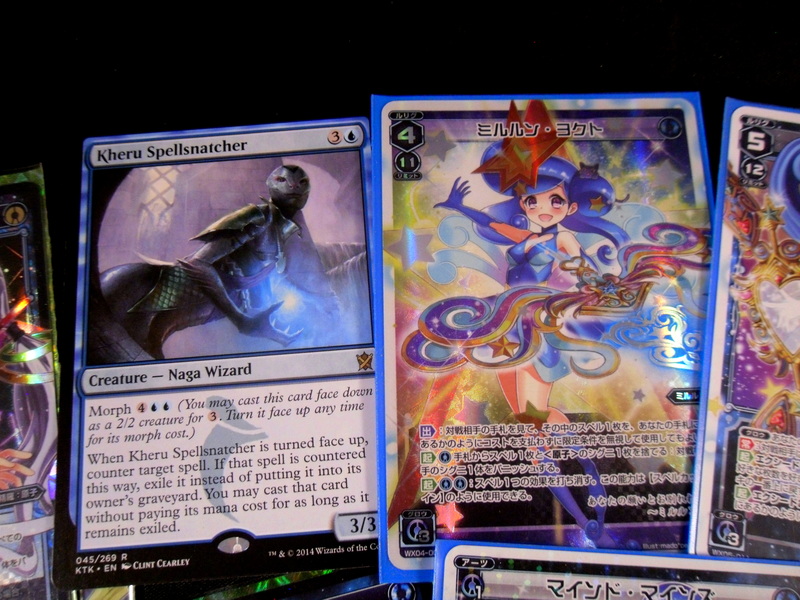 I also have much joy in having a foil version of my favorite card in this game. Anyway, I hope some of the information here was in some way beneficial. Thanks for reading as always. For reasons I’ll hopefully laugh about later in life I choose to play in the EDH/Commander match at Redcaps this week (yesterday). Joining the commander game was free and you were entered into a raffle to win the FNM promo (it’s really a good deal actually). 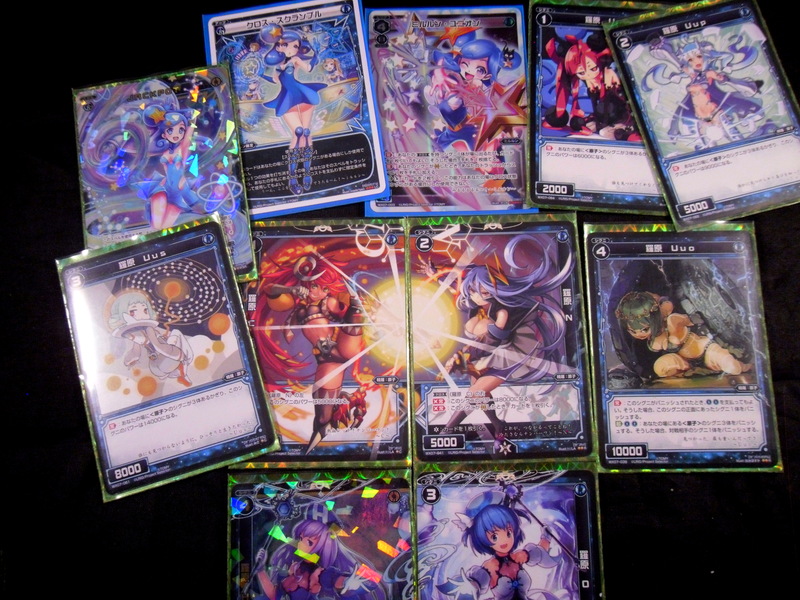 Anyway I entered with my Superfriends deck (now updated with counterspells). I played Soul Ring turn 2, Doubling Season turn 3, and Elspeth, Knight’s Errant (and ultimate’d her, gaining the Indestructible Emblem) turn 4. Then the guy playing Elesh Norn (who was pretty cool and friendly I might add) used Decimater Web on me, which happened to mill my Armageddon while I had an Eternal Witness in hand. Thus, on turn 6 I played Ewit, got back Armageddon and destroyed all lands causing everyone else to surrender. Since things may never go that well again I’m recording that match, also I won the raffle and got a Frost Walker too whoo. Derevi won because he countered all my boardwipes and I used Armageddon with no follow-up play (#Misplays). 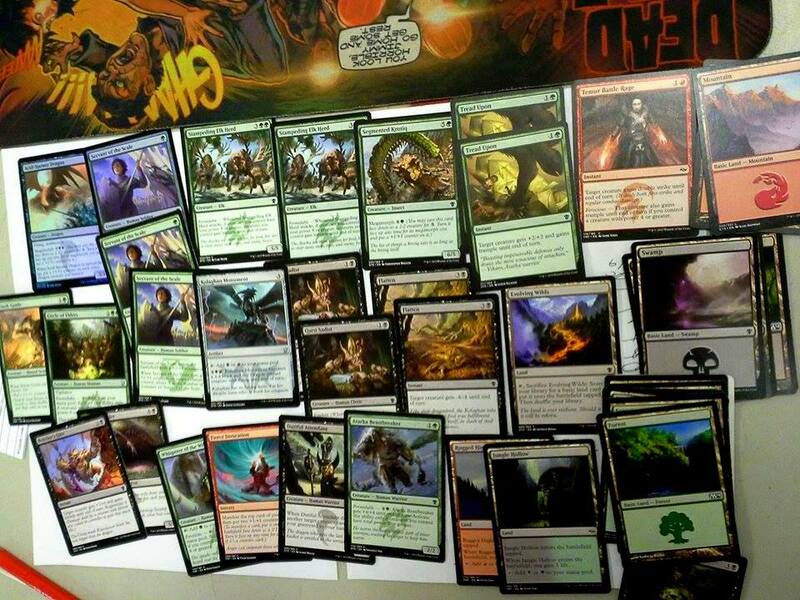 I have to hand it to the guy playing Derevi, he actually had a commander for each of his decks which he swapped between for Single/Multiplayer EDH (he just used his Derevi deck with Roon as his commander instead). It was a really cool idea. Anyway Sigarda voltron deck killed us both though it was really cool to watch. 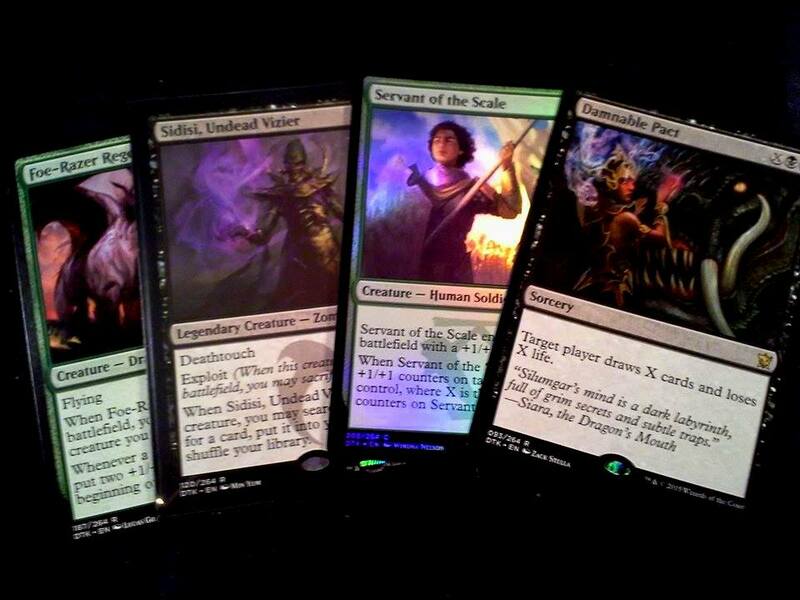 After that I left with a renewed love for EDH and not a single penny spent. I have no regrets whatsoever. 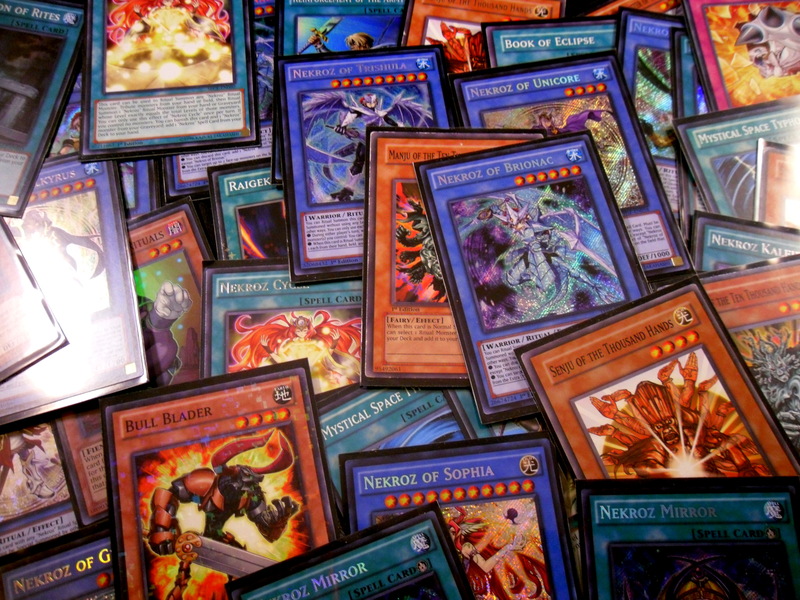 Can one man really play the most expensive deck in Yugioh and the cheapest deck in Magic the Gathering? So for the longest time I’ve been playing various cards without analyzing why I’m playing them or how I got where I am now. So awhile back I was torn between playing Heroes, Infernoids or Nekroz. 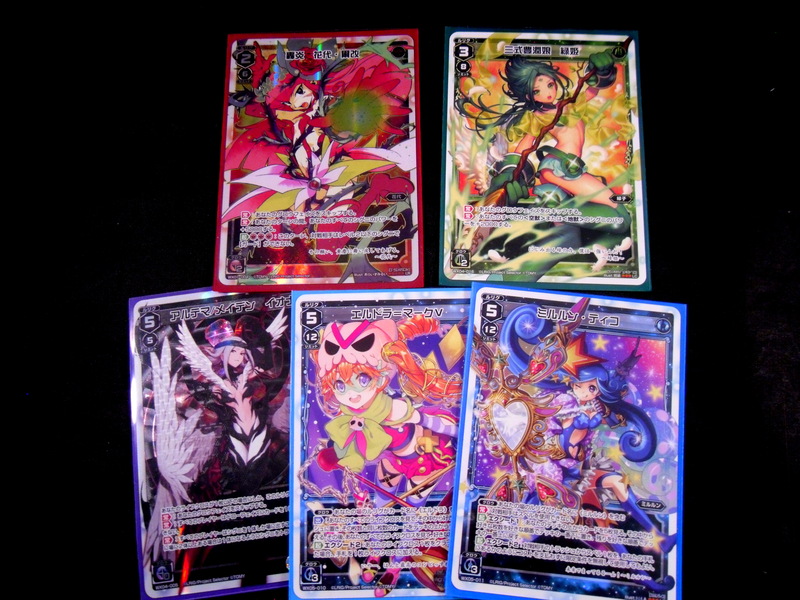 I ended up building all 3 decks (sort of), but I never fell in love with Heroes or Infernoids like I did with Nekroz. 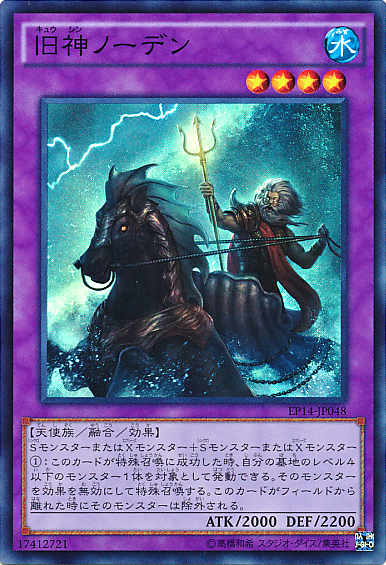 Heroes was too linear a deck of summong Masked Hero Dark Law, while Infernoids were too inconsistent relying on the blind mills of Reasoning/Monster Gate in order to be potent. Nekroz has some of the greatest consistency in the game’s recent history. It’s undeniably the best deck in the current format. 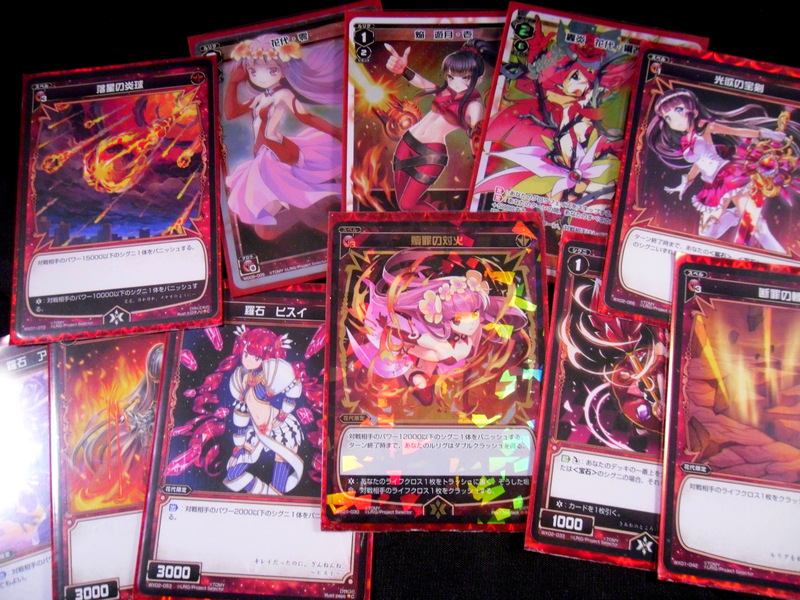 However my deck is imperfect in that it only has 1 Nekroz of Valkyrus. Now why do I only run 1? 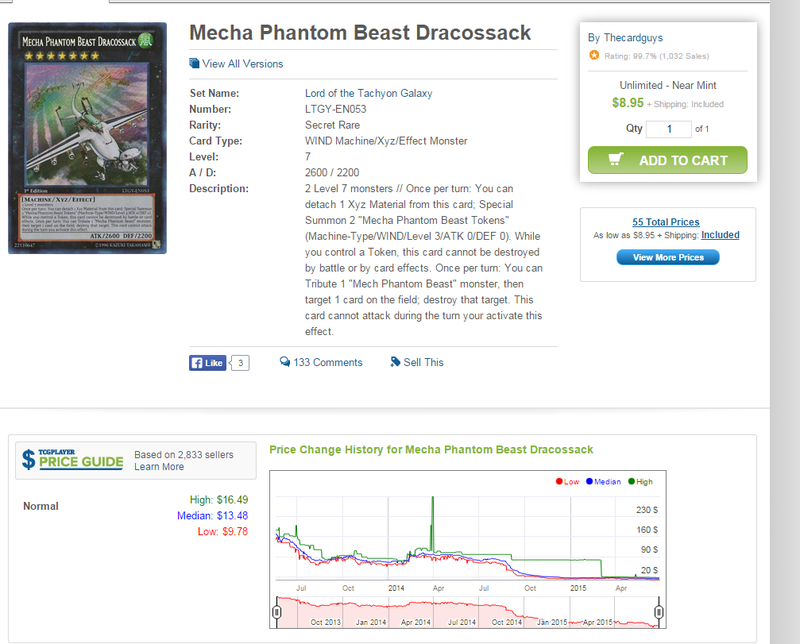 Well this card costs about $45-50 and it’s not worth buying it when I barely get to play Yugioh anymore. Sure it would’ve helped me out a lot back at the regional, but for the time being there’s little hope of me getting this outside of somehow pulling it (I’ve been buying THSF packs whenever I see them, gotta try). I’m still torn over which is the better build (the standard Mono-Red deck is far more popular and I would assume consistent). 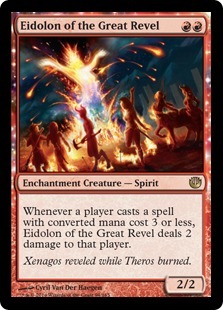 Still it’s a mute point as I borrowed the Eidolon of the Great Revels for the tournament. Unless my friend decides to draft/not play Standard on friday I’m probably not playing for a bit (both builds need 4 Eidolon who like Valk total around $40 as you can see here). 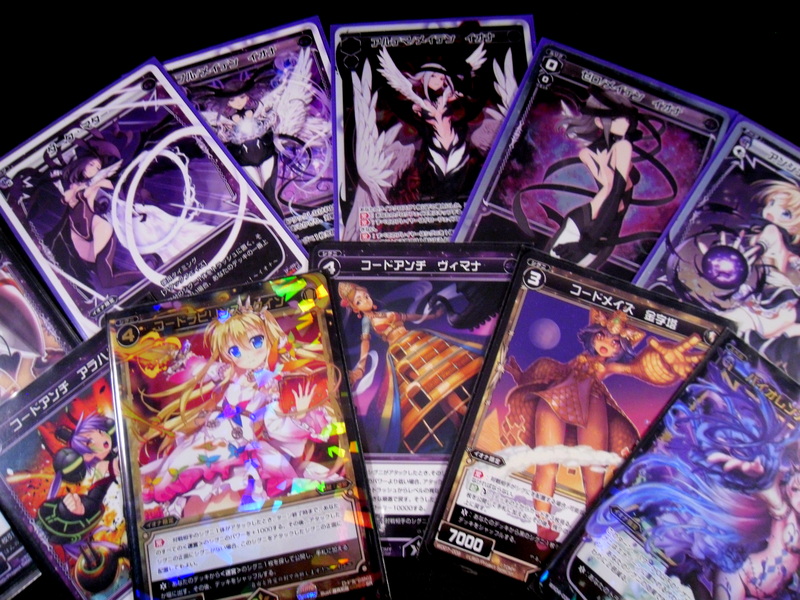 Eidolon is also rotating out of Standard soon so I have no plans to buy them for that much, at least not now. I thought it would be cute to build a edh deck with Soraya the Falconer, and then randomly I found my Promo Anthousa, Setsessan Hero (ans hence another deck was born). 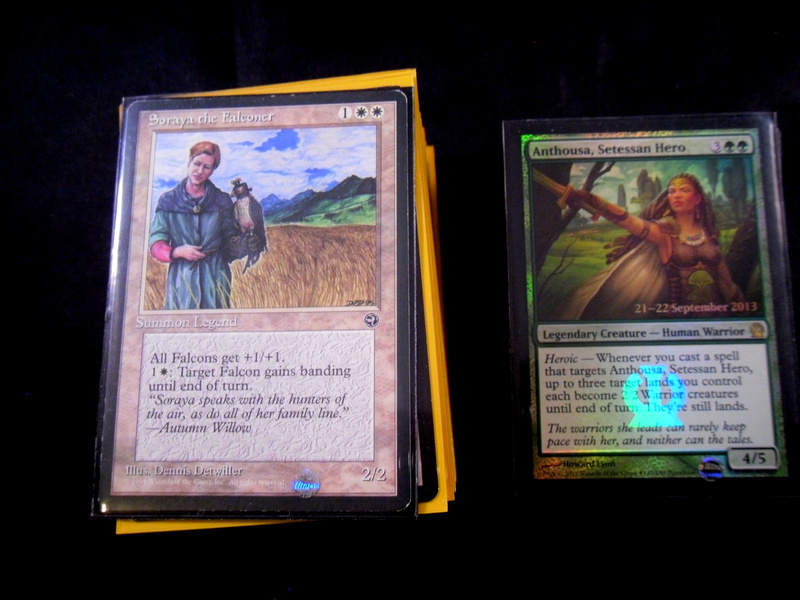 Neither of these decks are very serious and I guess they would fall into the category of budget edh decks (Soraya could be a Tiny Leader Commander too in hindsight). 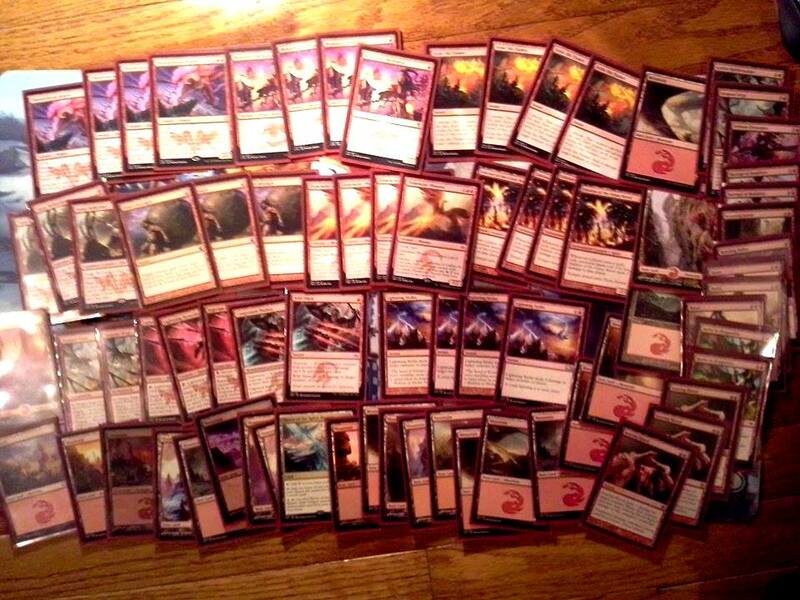 So I’ve had a crummy elf deck built for the rare modern game I’d get sucked into. However after an Elf deck topped the recent Modern GP I feel a strong need to try and improve my current deck. This is what I have so far. I have no plans to drop the $200+ needed to make this deck competitive, but I’d like to make it at least playable. 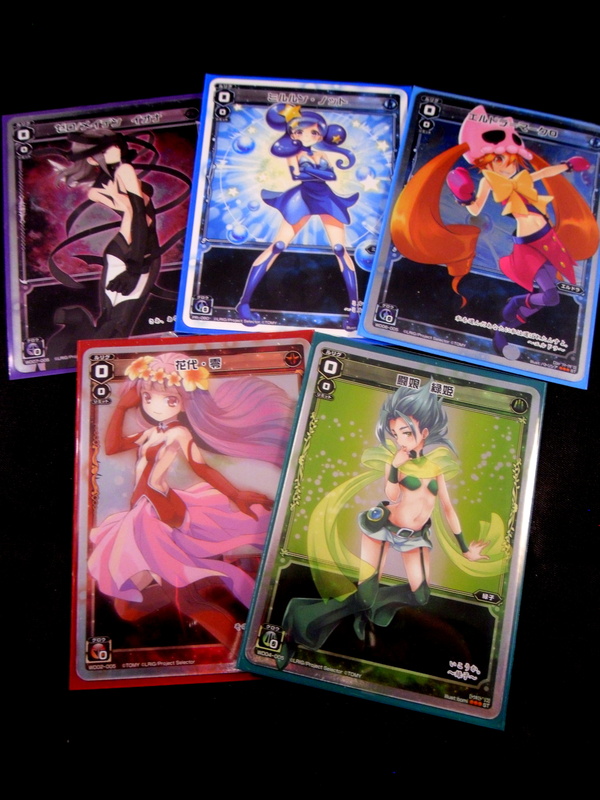 I built these 4 decks, but I’m still forever at a loss as to how to make them “good”. You can only lose so many times before you honestly consider quitting not because you don’t love the game, but because you don’t feel that you’ve gotten any better at it in months. As for every other game I still wait to learn Vanguard. 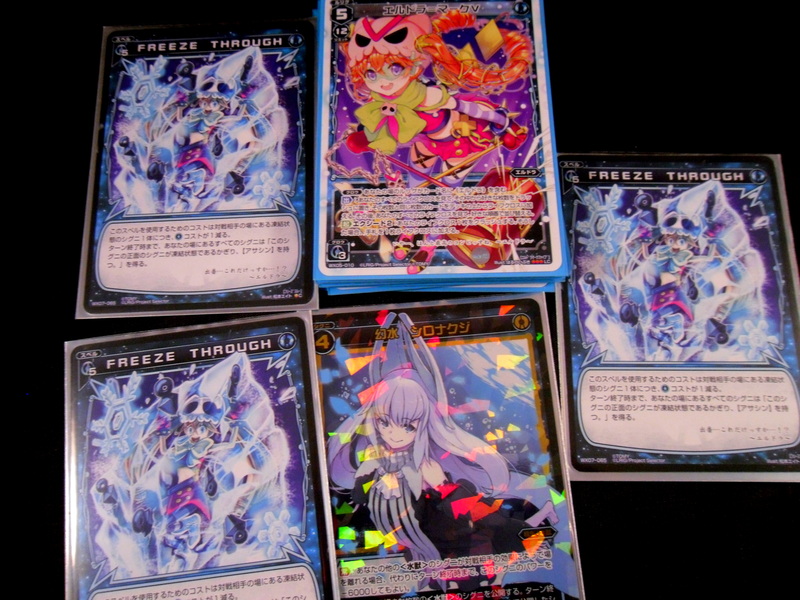 I have my Weiss deck at the ready (pictures at a later time I guess). 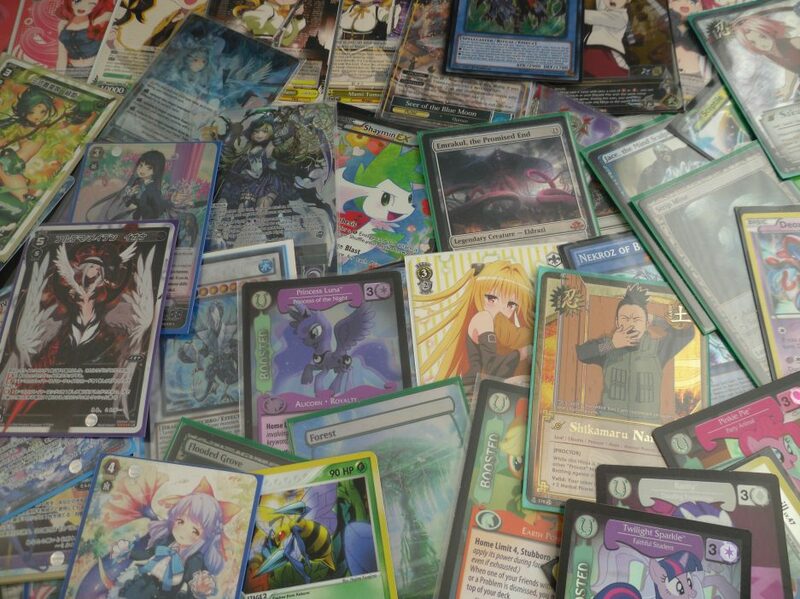 I can’t really play Pokemon since my cards are too old for tournaments. My only Naruto playing friend is back in New Jersey and I have no one I can convince to play MLP with me (nor do I have my cards with me). 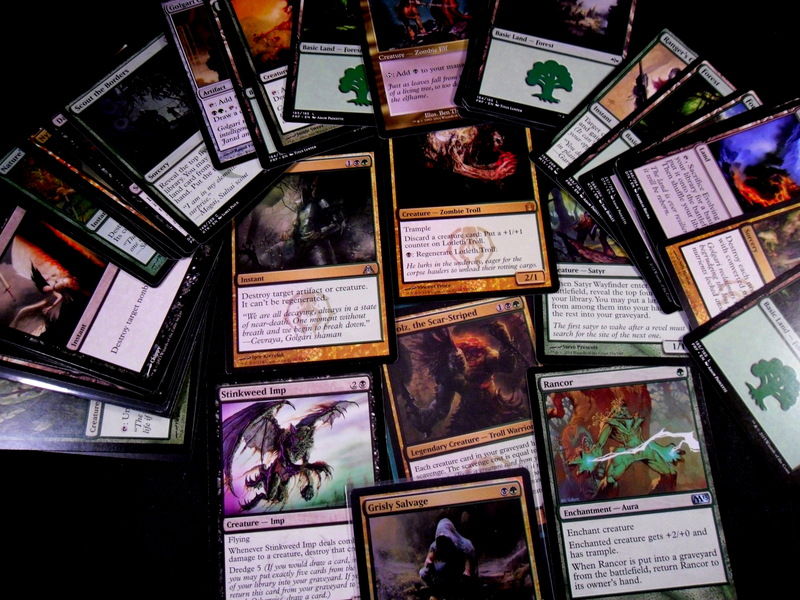 Figure out a Mono-Red Build that can beat Abzan. That’s it, and while it may seem like a simple goal trust me it’s not while Siege Rhino and Sorin are on the loose. 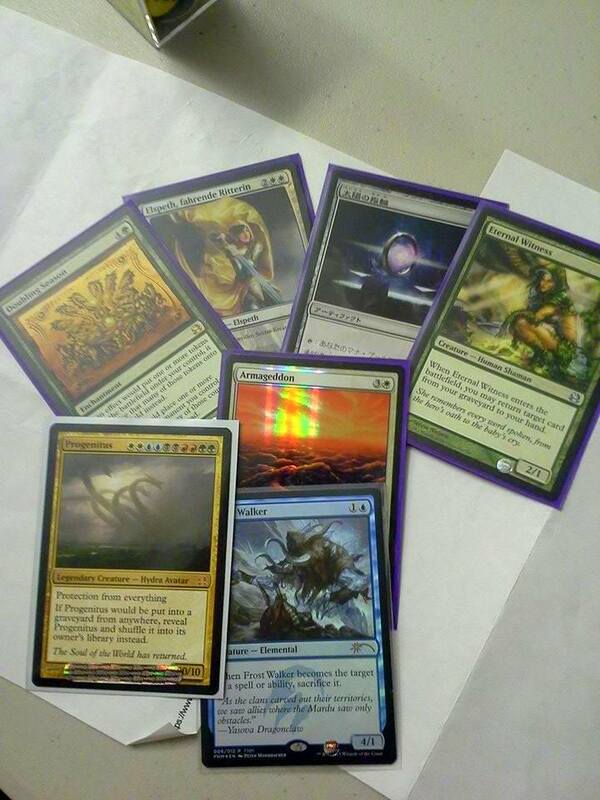 The only game that night at FNM where I felt totally powerless was in the Abzan match-up. I think this is where I need to focus the most (especially in my sideboard). Try out this new Force of Will game (I was going to buy an intro deck, but the MSRP was pricey so I figured I’d check online first). I know nothing except that the stats look like Yugioh stats and that intrigues me. Find someone to actively play each card game with (This is more of a life goal than a summer one). Well I should really be sleeping right now, so I’ll call it a night. Whelp I just made that first line a total lie. I played the Standard tournament at Redcaps Corner tonight. It was fun, but I am still overflowing with salt and I will remain all the salt probably for the next few hours (days). 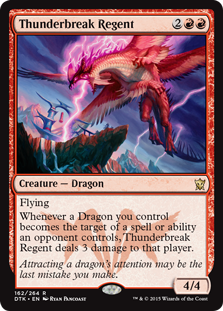 I’m playing Mono-Red Midrange (also known as Middle Red). I got the inspiration somewhat from this deck list on MTG Goldfish here. 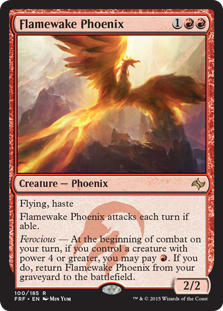 The deck is geared toward the reviving Flamewake Phoenix with Thunderbreak Regent. 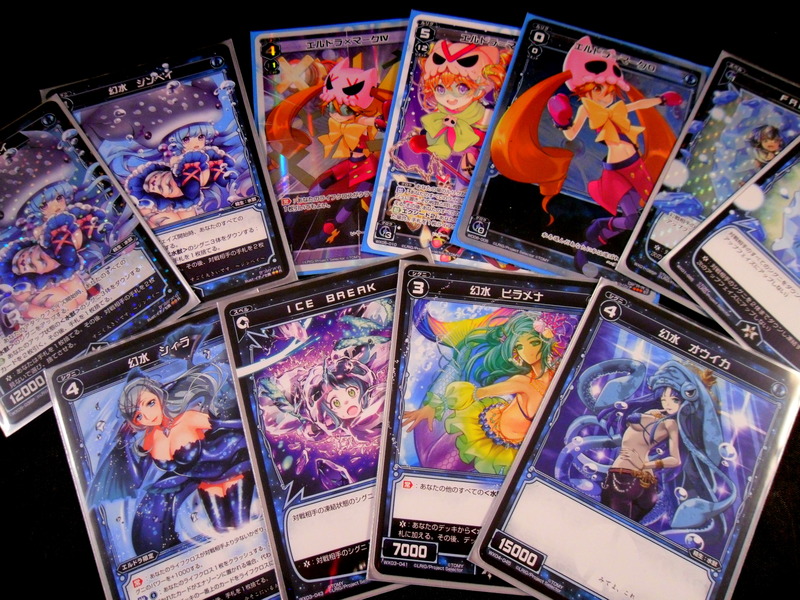 It’s the main “cute” play of the deck though when it works it’s great. 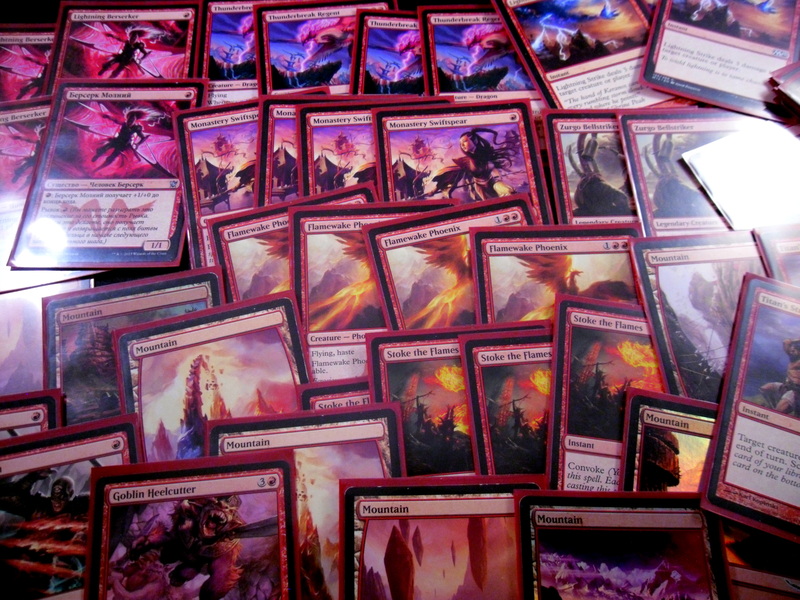 Other than that the deck still plays the standard red cards. 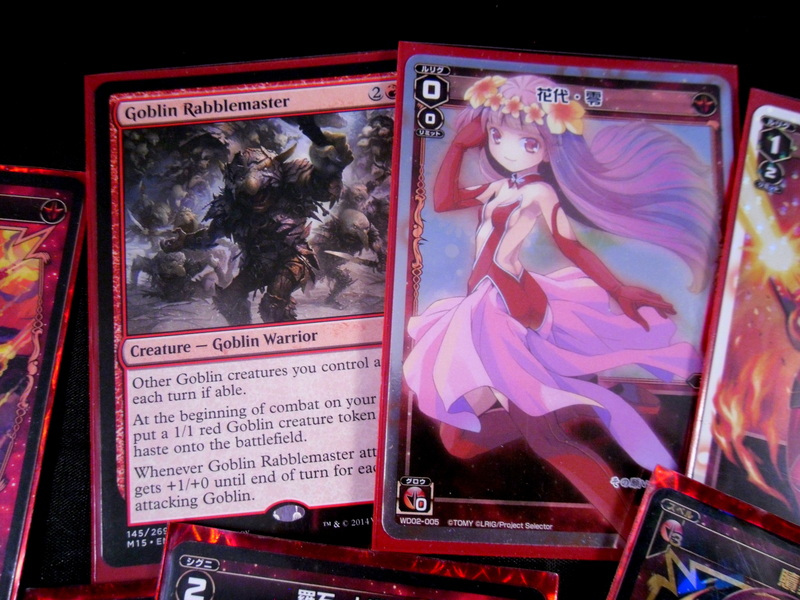 I’m going to keep editing the deck (though I’m still considering going back to straight Mono Red aggro with tokens). I got destroyed by the Den Protector. Also my opponent was able to re-summon 2 Deathmist Raptors off of that Den Protector and I was crushed. I actually not sure how to fight Abzan (which stinks since it’s the best deck in the format). Now this was a completely different game. He used Foul-Tongue Invocation to heal his life total while trying to stabilize with Silumgar, the Drifting Death. 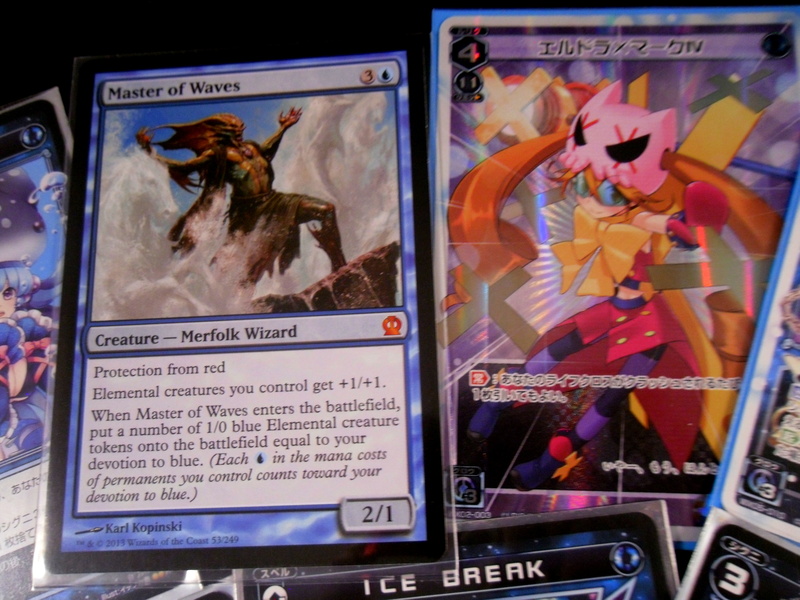 However, Thunderbreak and Silumgar bounced off each other while Flamewake poked him for game. I played against a good friend running a Mardu Dragon deck. We played that match up multiple times the night before and we both knew each other’s decks fully. Game 1 he kept a 1 lander and it was a short fight. Game 2 he beat me in the long run. Game 3, I beat him in the race. I played a very weary Control player. Game 1 I beat him very fast. Game 2 he kept a hand of Caves of Kolios, Swamp, 3 Drown in Sorrow, 1 Ultimate Price and Bile Blight. All you need to know is that he didn’t draw a 3rd land. Thanks for reading and may you not get mana screwed in the final round of your tournament.